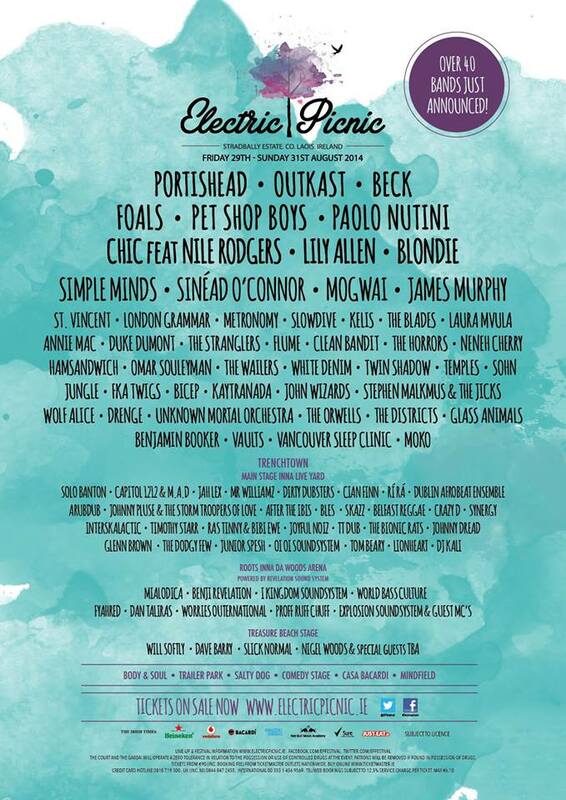 Electric Picnic revealed the acts that will take to the stage at its 2014 edition. Electric Picnic will take place between Friday, August 29th and Sunday, August 31st at Stradbally Estate in Co. Laois. Phone and Internet bookings are subject to 12.5% service charge per ticket (Max €6.10). Electric Picnic was one of the most interesting festivals of the year. It even made it to the final 10 Best Medium-Sized Festival in Europe at Festival Awards 2013. Those that went to Electric Picnic in 2013 will soon be able to purchase tickets for Electric Picnic 2014 with a discount. If you went to EP13 check your inbox for the loyalty code sent by Ticketmaster and you’ll be able to buy tickets for next year’s edition.